BII MOBILE INSIGHTS: Are We Close To A Global 4G Phone? Mobile Insights is a daily newsletter from BI Intelligence that collects and delivers the top mobile industry news. It is delivered first thing every morning exclusively to BI Intelligence subscribers. 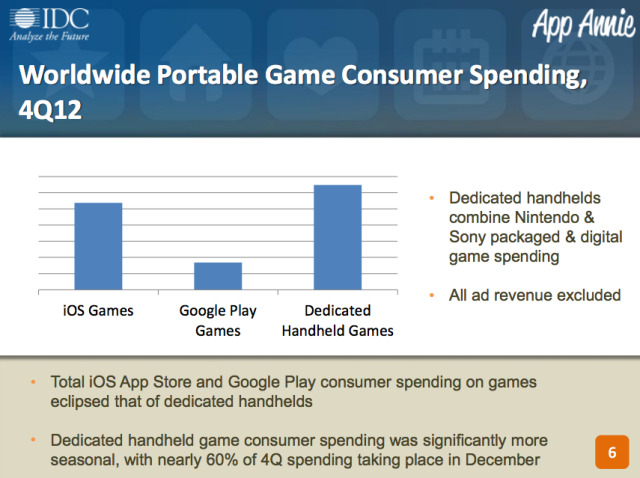 IDC and app tracking service App Annie are reporting that spending on mobile games finally outpaced spending on dedicated handheld titles this year (Nintendo and Sony handheld devices). 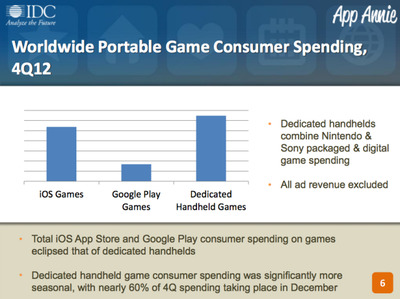 App Annie reported that if you add up spending on mobile games on both iOS and Android, it now exceeds spending on handheld games. How many phones does the average consumer use to stay connected? 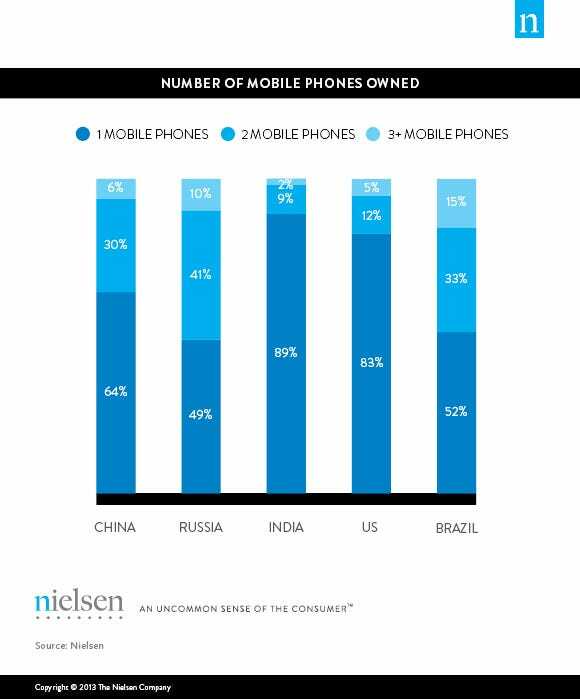 In three of the high-growth BRIC (Brazil, Russia, India and China) markets, using multiple mobile devices is becoming the new norm. In India, however, the overwhelming majority (89 per cent) of mobile owners still only carry one device, much like in the U.S., where only 17 per cent of mobile subscribers own more than one phone. 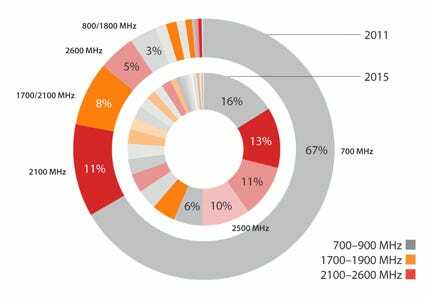 China’s big telecoms are reporting their final user numbers for January. And, as you would expect, 3G user subscriptions continue to climb across the board. 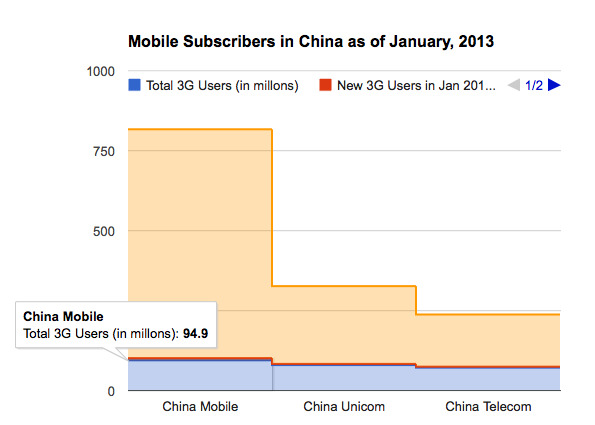 In total, China gained more than 13 million new 3G subscribers. 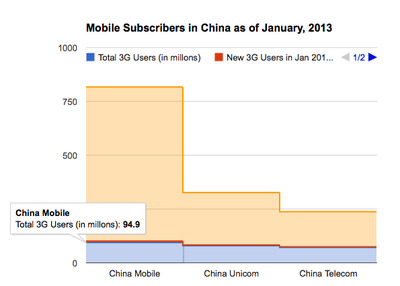 But here’s something a bit surprising: more than half of them signed up for China Mobile.